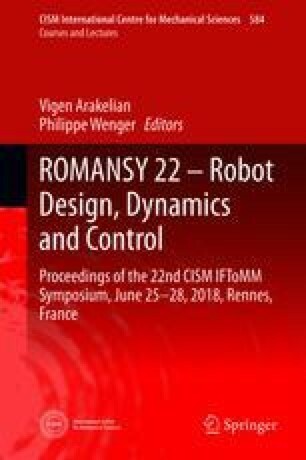 This paper deals with the interaction between a specified robot and its environment. A particular case is considered, which is a co-manipulation case, where an operator is performing a co-operative task with the robot. Cascaded loops are considered for the control design and a frequency analysis is performed to study the influence of the position loop. This research was supported by BPI France through the Competitiveness Clusters Structuring Project (PSPC) MammoNExT. The project is co-funded by the European Union. Europe is now investing in Pays de la Loire with the European Regional Development Fund.